The latest Barbie incarnation is Barbie does art like proper art from the old days art. There’s Babs as the Girl With The Pearl Earring, Babs as the Mona Lisa… Babs as everything. 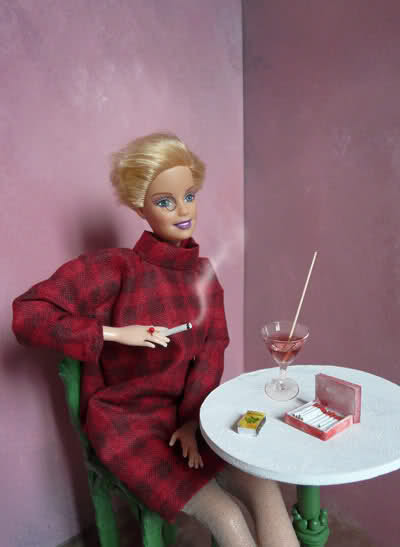 Pretty funny but I was ecstatic to see Barbie in The Portrait of Sylvia von Harden. A-Mazing. Go look at them all, it’s wholesome fun. Introducing… the Street Style Memory Game. Also A-Mazing. There’s only 25 pairs which I think means limited fun but it’s a nice idea and way better for kids than the Noah’s Ark Memory Game of my youth. You could make your own anyway I expect but alternatively you can buy it right here (soon).